By the will of God, each member has come to the community by the infinite mercy of God. Each member was called in by the Lord himself in a different way. We started falling in love with Jesus, the Gospel proclamation, the Eternal Father and the Holy Spirit almost without realizing it. By the hand of our Lady in heaven, chained with her rosary, we found the road that will lead us to eternal life if we persevere. Like her, we would like to be very little, almost like "nothing," so that we then can be filled with the "all" in service to our server for the greater glory of God and His Holy Church. Each, in different circumstances and in different times and eras, heard in our own way the voice of the Lord inviting us to serve in a direct and unambiguous way. That day by his own mercy we said "Speak, Lord your servant is listening"
One day in a prayer group, while praying the rosary, in one Eucharist, in one hour of worship, in a Bible study session, in that verse illuminated by the Holy Spirit, in an event of sickness or affliction, in the near or distant miracle, in the example and word of a priest, in a homeless person (miserito), in the magisterium of the church, in the lives of the saints, by the word of a friend or acquaintance, in a message of the Blessed Virgin Maria from one of her appearances, or in one of her wonderful expressions of love for us, his children. In short, now it is not important to mention the individual way of how we begin our journey of conversion and came to the community and service. For now,let's describe how everything started and how the group was formed. On July 1986, the visit of His Holiness John Paul II marked the lives of many young servants. His words, his actions, his gestures, his calling and his expressions of father and good shepherd caused them to fall in love with the calling to serve Christ and his Church. His call to the laity to serve as an echo of the Second Vatican Council gained unusual strength in their hearts. They started wanting to serve and be formed within their Catholic church, fulfilling and retaking their promises since their baptism. Trying to serve the needy, they help different groups in their parishes with social works without the intention of sharing the love and charity in the image of Christ. Only the altruistic sense of acting and feeling good, "doing something," for those in need. Different organizations appeared in the list. For example, “El Minute de Dios”, “La Fundacion niños de los Andes”, the Eudes foundation, St. Vincent de Paul, the epocalana foundation, some works in “Ciudad Bolivar”, few not for profit organizations, some prayer groups like Our Lady of the Rosary in Felipe Gomez house, some nursing homes as “Pro-vida” and other works that for many at that time was the excuse to be involved in charity. But there came the gift of the good God. 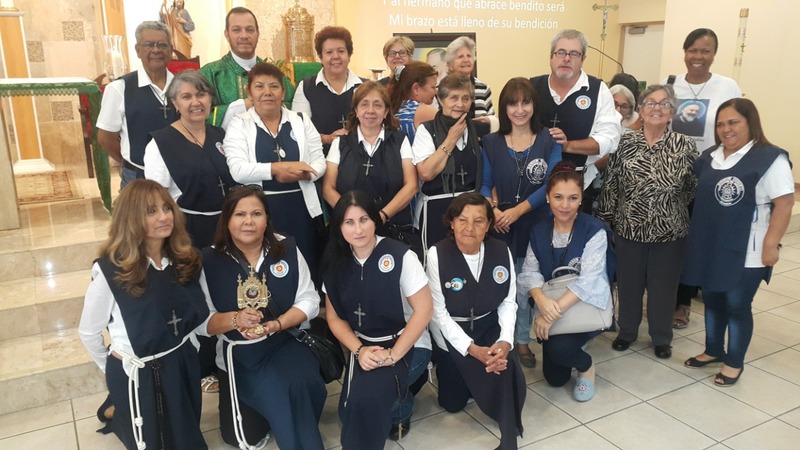 A holy Jesuit priest called Roberto Cabrera Ortiz, who after visiting Medjugorje and witnessing the manifestations of the Blessed Virgin Mary decided to dictate many conferences on the Virgin and her manifestations. He also decided to create a prayer group in the apartment of his family and from there to exercise their apostolate of love to spread the messages of our lady and the value of the rosary. Every Friday night, a small group of youth and women gathered to pray the Holy Rosary and to receive spiritual direction. Our focus was on the teachings of the church, the messages of Our Lady, and the Holy Eucharist. Gradually, we formed a group of about 20 people, including children, youth, and adults. Over time we acquired the habit of praying the rosary daily, participating in the Eucharist daily, going to confession frequently, and attending all of the events promoted by the church. We became known as "The Group of Father Cabrera." After years of spiritual growth, we increasingly began to feel like we were saints; we almost levitated in holiness… How wrong we were! Inspired by heaven, we noticed that through Eucharist adoration along with praying the rosary, things started to change. The word of God came alive and the prayers became more powerful and persistent. Then, we started doing perpetual adoration at our own parish since they were opening chapels for Eucharist adoration. We began to pray for the intentions of the health of our Pope, for our bishops and priests, for our parish, and for the peace of Colombia and the world. Of course, without leaving behind the particular intentions that our God inspired in our hearts. In the early 90s, we found richness in prayer and the Holy Rosary. Over time, these became the perfect excuse to meet almost every day of the week. Even on weekends, it became a habit to go on pilgrimages to nearby Marian sites or to attend various Catholic events that were scheduled in different places. From our Mother Church we also received the wonderful gift of the Catechism of the Catholic Church, which helped us deepen the meaning of Christianity and our belonging to the Church. So, we went from group to group and from event to event in this five-year period, praying and developing in our spiritual growth. We met many priests who gave us wonderful homilies. They also explained the meaning of the Eucharist. We were beginning to understand the Franciscan charisma. The figure of Mother Teresa stood out with her immense example of a life of service. From Sister Faustina we found the mercy of God and welcomed it. Pope John Paul II impressed us every day with his call and invitation to live the gospel. We also gained wisdom from the time the Pope spent during his Global Youth Days traveling around the world. 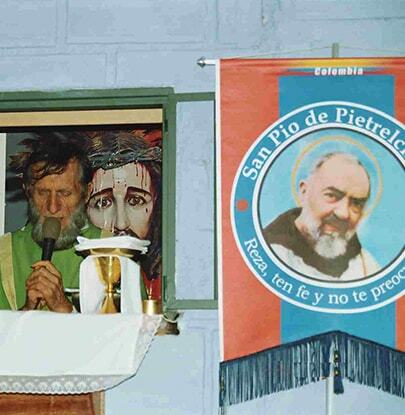 During this time, Padre Pio appeared in our lives "literally" and we learned about his life by Fray Ernesto Campos. He was a Franciscan priest who we affectionately called Fray "Campitos". He became the spiritual director for many young people who wanted to find the meaning of the lord in their lives. Little by little, he became an important part of our spirituality and somehow he began molding us towards charity and service. As time went on, we learned more about his life, his dedication to consecrated life, his sacrifice and penance, his special love for Christ and his passion, his obedience to his bishop, and his superiors. He loved the church despite all the vicissitudes through which he lived. He showed us the path to follow and thanks to him, we have found the strength and wisdom to learn how to listen to the will of God in our lives. He also taught us how to persevere in the works that are God's will for the light of the church and His own glory. In 1996, as our hearts were burning with love for Jesus, we began living the wonderful years of the Jubilee 2000. Each year we diligently studied everything that the holy father proposed to us about the Trinitarian mystery. We intently prepared to win the indulgences offered and our agendas were full of events and activities. In 1997, the year dedicated to Jesus, we began to look deeper into the gospel and began to feel discomfort. We felt that something was missing and that Jesus was calling us for something else, something special. We did not understand or perhaps did not want to listen. We were so comfortable with our easy life, free of real commitment and sacrifice. We did not want to allow anything to disturb our way. In 1998, the year of the Holy Spirit, one day we were studying the word of God. We asked the Holy Spirit to show us through His word how to please and give our hearts to Him. The Lord gave us a text in chapter 2 of James which said, "What good is it for one of you to have faith if your actions do not prove it?” (Jm. 2, 14-26). “When the Son of Man comes in his glory, and all the angels with him, he will sit on his glorious throne. All the nations will be gathered before him, and he will separate the people one from another as a shepherd separates the sheep from the goats. He will put the sheep on his right and the goats on his left. Then the King will say to those on his right, ‘Come, you who are blessed by my Father; take your inheritance, the kingdom prepared for you since the creation of the world. For I was hungry and you gave me something to eat, I was thirsty and you gave me something to drink, I was a stranger and you invited me in, I needed clothes and you clothed me, I was sick and you looked after me, I was in prison and you came to visit me. And then the Holy Spirit enlightened us with an immense phrase: "BE SERVANTS FOLLOWING THE EXAMPLE OF CHRIST." So we received the announcement, the call, and the way. Even though we helped in some work as we have said, in deeper discernment, we along with Father Cabrera decided to start our own service as a group. We picked a day and went to a supermarket called “Carulla”. There, we bought bread, cheese slices, ham, butter, napkins, and plates. In Father Cabrera’s apartment we made the sandwiches and we decided to distribute them at the gate of the atrium of Saint Ignatius church, in one of the corners of the “Plaza de Bolivar” (Bogota). There, we felt that we would find people in need but, also that we would be safe behind the gate from any possible violence on their part. We stood there ready to serve but, no one came. As we waited, we prayed the sorrowful mystery of the Holy Rosary since it was Friday. As we finished praying, we decided to go home thinking that this was not God’s will… Maybe we had been deceived by “the devil” in placing our hearts into something that was not to be. But, as we opened the gate, this man nearly 7 feet tall, appears out of nowhere with a black cap. Torn and grimy, his hair was matted and looked like it hadn't been combed in a year. His beard reached down to his chest and it was covered with food and yellow stains from the glue that he inhaled. He was toothless. He was wearing at least 7 old coats and sweaters that were dampened with rain from the previous night. His finger and toenails were like the claws of a bear. Later, we learned that he was known as "the bear" or called crazy because of this irrational and unpredictable behavior. Being scared, Father Cabrera looked at me and said, "Give the man a sandwich!" A little scared myself, I did not offer the sandwich to him but placed it in from of him as if I was feeding a steak to a wild animal. However, the man reached out his hand and took the sandwich, taking it observing what was inside. When he looked inside, he let out an exclamation of, “Thank you Father, God bless you. This is true food.” All of a sudden, he grabbed me and hugged and kissed me on the cheek while jumping for joy. With his mouth half full of a sandwich, he continued to thank God for his food and then said, “Can I have another?” At that moment, another beggar appeared out of nowhere, and then a third, and a fourth, shouting at others to come over because, “They are giving out food.” They all thanked God for their nourishment as the sandwiches quickly disappeared from our baskets. Meanwhile, we were surrounded by people that were screaming and fighting, like the pigeons in the Plaza Bolivar do, over a piece of corn. They gave us more hugs and kisses, but the "Bear" tells them to hug the “Padresito” because, “nobody else does this for us.” Laughter and happiness among them gave us a certain confidence, as the paralyzing fear had been replaced by a sense of security that came from the hands of Father Cabrera as he blessed each beggar. They would say, “Bless me father” and they started asking for little medals. When the food was gone, and he had finished blessing everyone, we went into the church and closed the door. Then we went to wash our hands and face, first making sure that we hadn’t been robbed. Next, we went to the tabernacle to thank God that we had been safe, but also to thank God for the happiness that we felt in our hearts. Nothing could remove the joy that we felt, and we looked at each other in admiration and happiness, maybe with the uncertain decision to do it again. And we began planning ways to improve the service next time. (And so it will be repeated until eternity if it is the will of our Lord) We fed the Lord and Jesus, who lives in them, had blessed us! We were excited because we had done the Lord’s will. Thus began this madness of love that today is an ecclesial reality. We had the help of Father Rafael Arias (RIP), a priest from Samacá (Boyacá), full of love for the Virgin of the Miracle of Topo. He was very dear to us because he accompanied us in those early years. Thanks to him, we learned how to talk to people about our stories and works of charity. We realized that we should resume the service we did with the “pocalana” foundation. We wanted to go through the streets in search of those who were hungry, not only in the physical sense but for love - that spiritual hunger that only the Lord with his infinite love can satisfy. We had helped in Franciscan’s restaurants for the needy. We had helped Jaime Jaramillo with the “niños de los Andes”. We had helped at the EUDES foundation, rescuing kids from the streets. We had helped those in need after floods in “Patio Bonito” from the Tunjuelito river. We had helped some homeless in the Cartucho street. Finally, after seeing Mother Teresa serve the forgotten men on the streets, we made the decision, guided by the Holy Spirit, to serve the homeless. They were the people through which Christ would receive our service and apostleship. Thus, taking the word of God, a piece of bread, a hot drink, and a loving and merciful hug from christ became our goal. 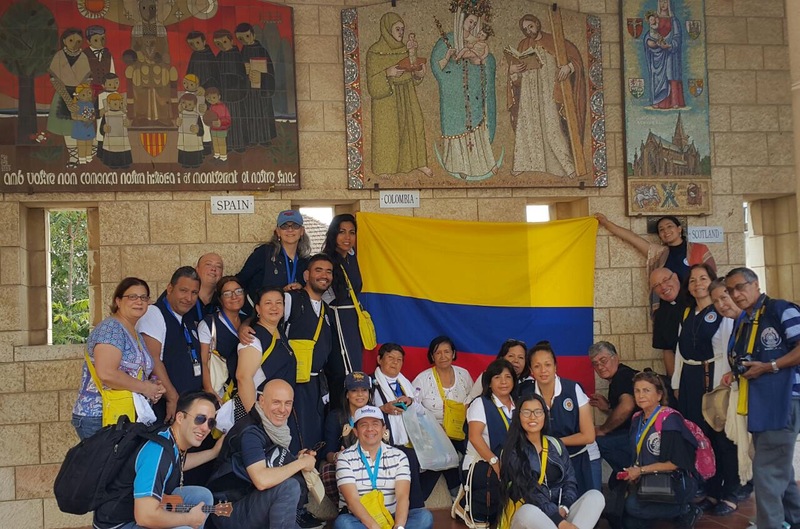 The first to serve in an organized manner was Father Rafael Arias, as he began to congregate with the homeless in “Tunja” and “Samaca” over a hot chocolate and a piece of bread. 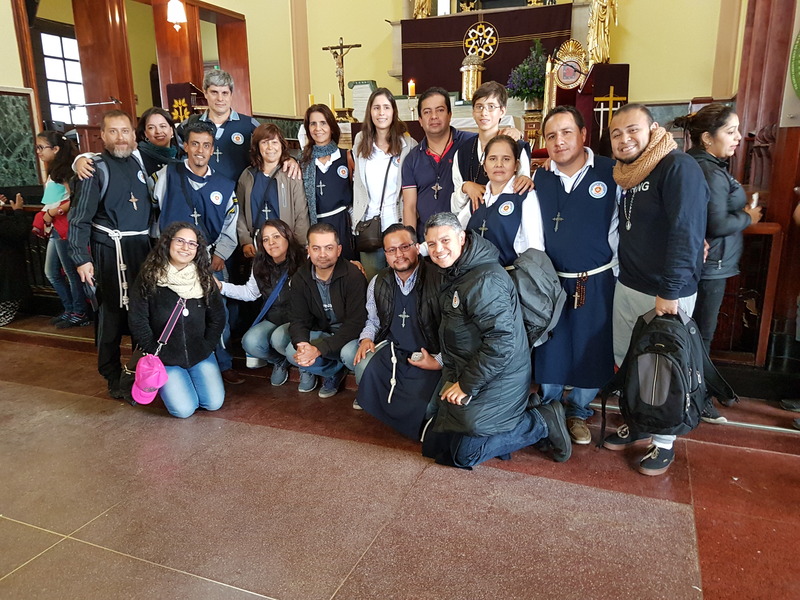 He was able to get his bishop to give him a house in “Tunja" in which he could receive them yet, Father Arias’ health and a lack of knowledge about the mission from those who helped him, made it so that this mission was short-lived. However, everything was different in Bogota. Some of us resumed the work in “Ciudad Bolivar” in a neighborhood called “Bella Flor” in a place known as “La Gospa”. In July of 1999, we started to bring snacks to about 200 children every Wednesday. We would play games and talk to them about the gospel and church. Thanks to the support of the Oblates Benedictine sisters, we found them clothes, shoes, books, and anything else they needed. On Saturdays, we began to catechize in preparation for the first communion of many children, and the baptism of others. To this day, we still continue to do this work here, even though for a couple of years we could not do it due to pressure from gangs and terrorist groups. 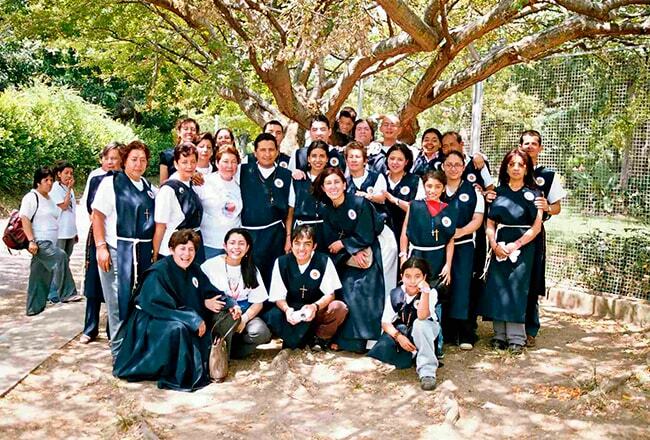 In September of 1999, we started serving at a new location at the bridge of “Eldorado” avenue with “Boyacá" avenue. There were a lot of displaced children from the “cartucho" street living under the bridge. These children were between the ages of 5 and 12 years old. They were abandoned by their parents or had become orphaned. Eventually, we were able to get their daily meals paid for at a nearby restaurant. We were also able to establish a public bathroom for them to use at a vacant lot. After a while, six children were admitted to the programs of Father Javier de Nicolo. Nine were killed by social cleansing groups because they refused to leave the bridge. Others, once they reached adulthood fell into jail and the rest simply disappeared. During remodeling of the bridge, the shacks from the children disappeared as well as this site as a point of service. We remember Pachito, the first beggar that we helped at that site. At nine years of age, he was the “boss” of the site, and he was the one who decided who could live there.. Over the years, we became very close to him and formed a close bond. We were able to get him to pray the Rosary everyday, to quit smoking marijuana, and leave this life to live in “Bosconia". Unfortunately, after many years living in the same place something terrible happened. On Thursday night, he was supposed to come in to one of our homes to take a shower and get new clothes. He planned to attend a meeting that was going to change his life the next morning. On Thursday night he was removed from his shack. On Friday morning, he was found dead with multiple gunshot wounds in a nearby park. Going back to the year 1999 - as a group, we started going out on the streets especially to the “calle del cartucho”. Our visits to the cartucho were occasional since most participants were afraid of the indigent. 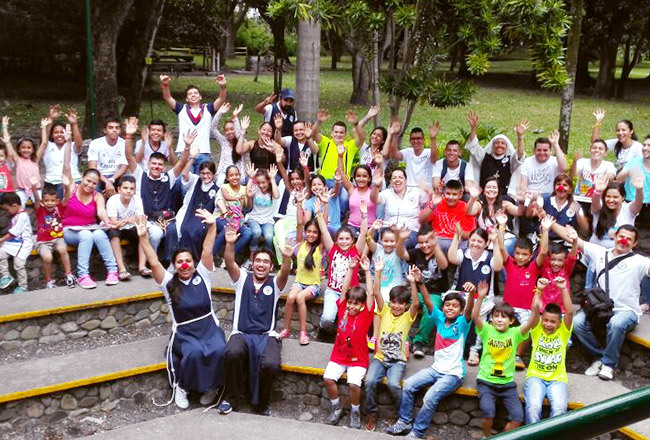 However, in “Ciudad Bolivar” we had an active presence during Christmas and the school year. In this year, the year of the Father, we decided to give our group a name because we thought it was important to have a name. And although we participated in a prayer group called "Garden of Jesus and Mary", in the light of the Holy Spirit we decided to call ourselves servants of the real servant, recalling the previous call of the Holy Spirit. That is “Servants of the Servant" - servants in the image of Christ who served us until he gave his life for us. We began to know some of the homeless by their nicknames and some by their names. However, knowing the displacement to which homeless are subjected because of their reputation, we began meeting them at a place called “la culebrera” located at the intersection of 63 street and 30 street. On May 31, 2001, it was decided by heavenly calling that we should serve from this point every Thursday morning from 10am to 11:30 a.m. Initially, we brought sandwiches and hot chocolate for about 10 or 15 beggars. We also brought rosaries and some stamps of the Virgin Mary and our Lord. As a renewal, that night of October 31 and continuing on November 1, 2003, we made a decision. In light of the Holy Spirit, on this wonderful mountain, we decided to revitalize the work by opening it to the world, establishing it as "Apostolic Community Servants of the Servant". The next day on November 2, the announcement inviting people to the service was made in every Eucharist. Everything was starting to happen, thanks be to God, and the service began to have a strong foundation on these new terms. We returned to Bogota renewed by the strength of the Spirit in our hearts and we began to organize everything necessary to get back on track. On December 8, 2003 during a gathering of the community in the parish of the Holy Eucharist, we made the choice and the decision to conform with the church as an association of the faithful. This is the initial path that we decided to follow, to be united with our Holy Mother Church and from it in, obedience to our bishop to serve as image of Jesus from the parishes and their pastors. This is the day that was chosen as the date and foundation of the community. There are 7 pillars selected that will direct the paths of the community for the greater glory of the Church and the joy of the Heavenly Father. The first sackcloth and the first blue scapulars are imposed. Also the first “Servita” and “paciente” brothers are called. We issued our vows before the Blessed Sacrament. Vows of Obedience, humility, and service, after the Eucharist.